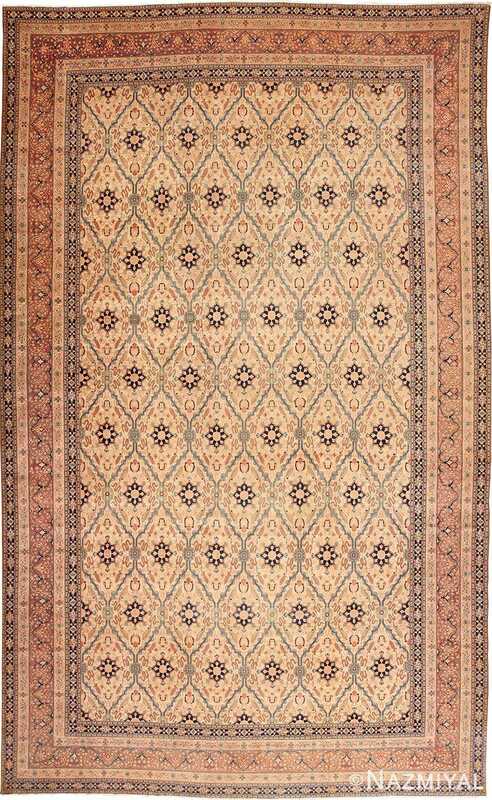 Antique Persian Haji Jalili Tabriz Rug by Haji Jalili, Persia, Circa. 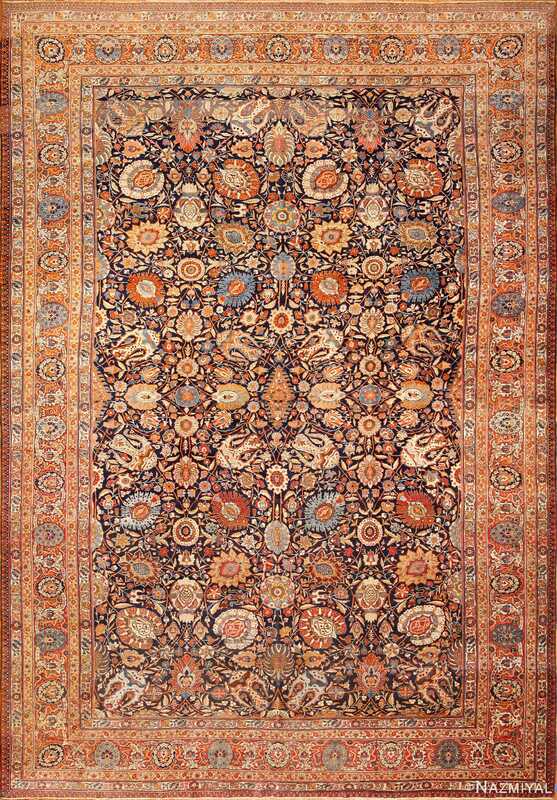 1900 – An antique Persian rug that was originally hand woven in Tabriz by Haji Jalili, widely considered to be the most talented and influential of all Persian rug makers. 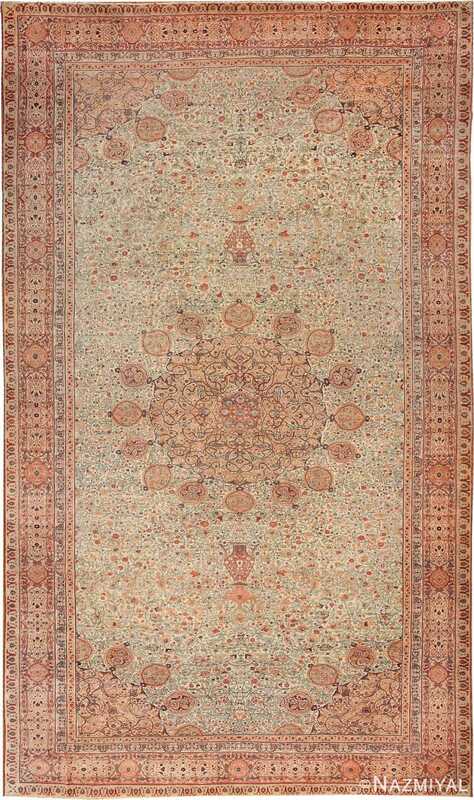 This astonishing rug embodies many of the qualities and characteristics of Haji Jalili rugs that make them so widely sought after by collectors, including an extraordinarily intricate and beautifully composed field and a beautiful, subtle color palette that highlights the incredible detail of the piece. 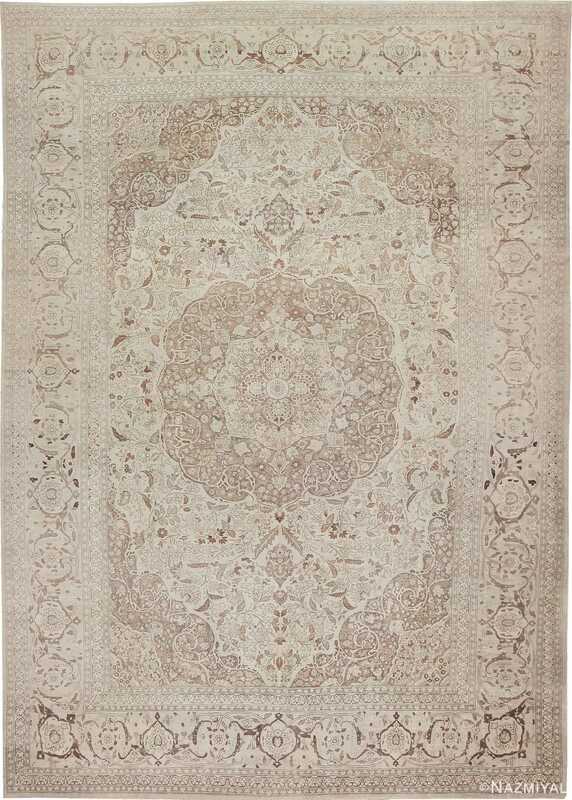 A masterpiece by any standard, this gorgeous antique Persian rug represents the height of antique rugs.